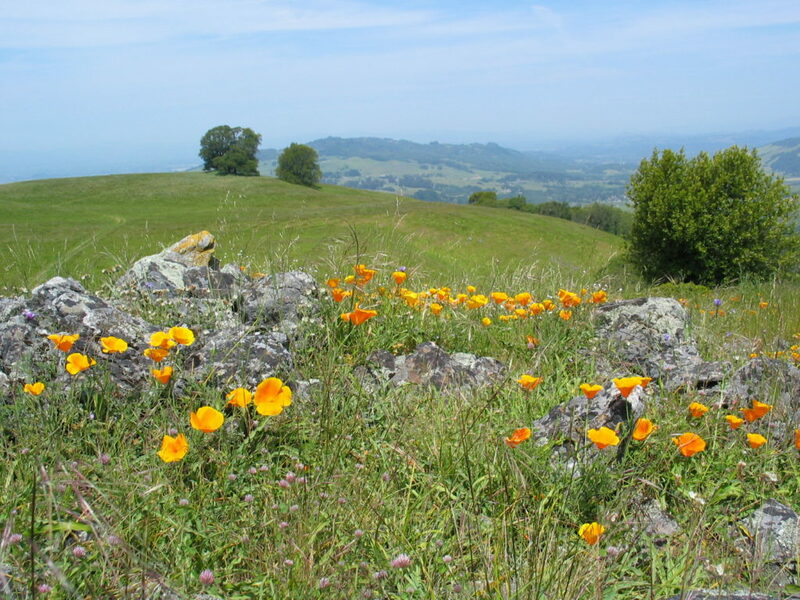 Sonoma Mountain Preservation (SMP) has been advocating for open space and scenic preservation of the mountain since 1993.
stimulate interest among like-minded citizens and property owners in supporting all these goals. Hear author Arthur Dawson introduce SMP’s beautiful new book about Sonoma Mountain! You can order the book on the right sidebar, pick one up at one of out launch events, or buy from Reader’s Books in Sonoma, or Copperfield’s in Petaluma, Sonoma, or Santa Rosa! SMP consists of an all-volunteer board, steering committee, and a broad constituency of concerned citizens. Visitors are welcome. 2019 quarterly Steering Committee meetings are: 1/23, 4/24, 7/24, and 10/23 (Wednesdays) from 3:30 to 5:30 p.m. at the SEC office on the SDC campus (call 996-9967 for directions). We have guest speakers who deepen our knowledge of the mountain at each meeting. All are welcome! For more information, please use the web contact form or speak directly to one of the steering committee members. Our meetings focus on actions relating to proposed or built developments on the mountain; participation in public hearings regarding developments; and updates to current discussions and/or controversies regarding, for example, trails, winery expansion, and open space acquisition. SMP supports the efforts of other organizations in the county to preserve open space and make it accessible to all citizens, including the SDC Coalition, the Sonoma County Agricultural Preservation and Open Space District, state and regional park districts, and other non-profits, including the Sonoma Land Trust, LandPaths, the Sonoma Ecology Center, and the Bay Area Ridge Trail Council.